PMM investigates the role of additives in lubricant performance with independent trade body the Verification of Lubricant Specifications (VLS). As engine technology evolves, expectations of lubricants are increasing. Longer service intervals, higher powered engines and the increased use of sophisticated technology are all placing a heavier load on the role that lubricants perform throughout the life of a vehicle. Not only do lubricants perform basic functions associated with the management of friction which occurs between moving parts, lubricants also offer a host of other roles. The core seven functions of lubricants are the same as ever – to lubricate so improving machinery efficiency, to reduce wear, minimise friction, hold deposits in suspension and move heat around the system to aid cooling. Additives in engine, brake and transmission lubricants play an important role in keeping the lubricant working effectively. 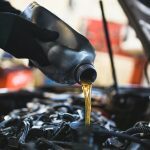 Although typically automotive additives make up no more than fifteen percent of the final lubricant by quantity, they account for the way the lubricant works and protect vital moving parts of the vehicle. So, what are these additives and what do they do? Firstly, and one of the most important, is the viscosity modifier which helps the fluid to maintain its viscosity or resistance to flow across variations so as the temperature in a car’s engine increases, the lubricant retains its form and doesn’t break down. A dispersant is added to the final formulation which ensures that dirt and other deposits are carried in the fluid around the engine, so they don’t interfere with its operation. This is why the oil turns from a golden brown to a dark brown colour in use. It means that the lubricant is working by retaining deposits in the engine preventing them from interfering with the seals. A detergent is included in the lubricant which helps keep the engine clean as it performs its function. Corrosion or rust inhibitors are added to stop the oxidation of metal parts as the engine comes into contact with fuel (both burnt and unburnt) as well as the lubricant. This helps to reduce metal surfaces from flaking off and becoming debris in the lubricant. The lubricant also includes anti-oxidant additives to stop it from boiling away as it comes into contact with high engine temperatures which could bake the oil and turn it into black sludge in the engine if this additive was missing. Additives to help with lubricity ensure that the lubricant keeps moving efficiently around the engine. Friction modifiers are also added which help the engine perform its vital functions. Anti-foam additives help to stop foam build up in the engine as too much foam could cause an increase in pressure on seals, and finally anti-wear additives help reduce engine wear. Additives have a vital role to play to improve the technical performance of both the lubricant and the vehicle as a whole. There is no doubt that cheaper lubricants can always be obtained on the open market, but these lubricants might not be the right ones for the vehicle. Saving a few pence in the short-run compared with the expense of maintaining sophisticated engines means that false economies today can store up significant problems for your customers tomorrow. If in doubt, always refer to the vehicle handbook or consult the OEM. You can also refer to VLS for advice and support. If you have any concerns about lubricant products making unrealistic claims you can report them to VLS by calling 01442 875922 or emailing admin@ukla-vls.org.uk. VLS handles all cases anonymously through a clearly defined process which includes technical review by a panel of experts from across the industry and dialogue with the manufacturer and all relevant parties to work together to resolve any issues. VLS’ objective is to protect mechanics and end user motorists alike, by creating a transparent and open market for the purchase and sale of lubricant products. Its work allows workshops and technicians to safeguard their reputation by being confident that the lubricant products they are buying and putting in their customers’ vehicles are suitable for use. For more information from VLS, click here.